There are several artists that go by the name of Love: 1. An American psychedelic rock group formed in Los Angeles in 1965. They were led by singer, songwriter and guitarist Arthur Lee (March 7, 1945 - August 3, 2006) and the group's second songwriter, guitarist Bryan MacLean (September 25, 1946 - December 25, 1998). One of the first racially diverse American pop bands, their music reflected a remarkable array of influences, combining elements of rock and roll, garage rock, folk, showtunes and psychedelia. 1. An American psychedelic rock group formed in Los Angeles in 1965. They were led by singer, songwriter and guitarist Arthur Lee (March 7, 1945 - August 3, 2006) and the group's second songwriter, guitarist Bryan MacLean (September 25, 1946 - December 25, 1998). One of the first racially diverse American pop bands, their music reflected a remarkable array of influences, combining elements of rock and roll, garage rock, folk, showtunes and psychedelia. Other members included John Echols, Johnny Fleckenstein, Don Conka, Alban Snoopy Pfisterer, Ken Forssi, Tjay Cantrelli, Michael Stuart, Jay Donnellan, Gary Rowles, Frank Fayad, and George Suranovich. Love grew out of the Los Angeles garage band The Grass Roots, changing their name in 1965 to avoid confusion with the P.F. Sloan-managed band of the same name. The band lived communally in Bela Lugosi's former LA residence The Castle, and the house forms the background to the cover of their first two album sleeves. Love released their eponymous d?but album in July 1966. This was followed later the same month by the single "Seven and Seven Is/No. Fourteen", neither side of which was included on the album, and which gave the band their only U.S. Billboard top 40 hit. Love's second album Da Capo was released in January 1967. The album is split between a more conventional first side, featuring 6 tracks (including Seven And Seven Is) and a second side featuring just one near twenty-minute track, Revelation. 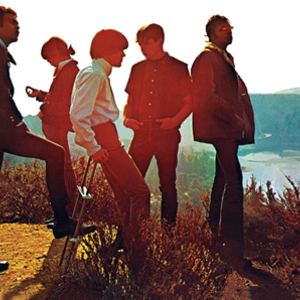 The band's critical reputation far exceeds the limited success they experienced: their second album to be released in 1967, Forever Changes, is consistently cited by critics as one of the most outstanding albums in the history of rock music. The album features full and complex orchestration throughout, accompanying Lee and MacLean's increasingly elaborate song writing. The album sold poorly in the U.S., reaching #154 on the Billboard charts, although it performed better in some European territories. Although the band continued to record after Forever Changes, subsequent releases saw frequent large-scale personnel changes, and a move away from the more baroque style of that album towards traditional rock and latterly to soul and funk. Of the later albums, 1970's False Start is notable for featuring a guest appearance by Jimi Hendrix from one of his last recording sessions. Lee continued the band until 1975, having lost all the other members to drug problems. He formed other bands called Love (sometimes with former band mate Echols) through the 1990s. 2. The alter ego of Japanese pop singer Ai Otsuka (???). 3. Former lead singer of disbanded CORE OF SOUL, Fukiko Nakamura's solo work's alias. 4. Love is a Japanese pop/R&B vocal duo, produced by Hiro of Exile's production agency, LDH. They debuted in 2009 with the single "First Love: Love Letter." Their song "Tada Hitotsu no Negai Sae" was certified gold by the RIAJ for 100,000 full-length cellphone downloads. The band's name comes from the first word in their production company (LDH)'s non-acronym name (Love Dance Happiness). The band was formed in 2008 by former Paradise Go!! Go!! member Misaki Matsumoto, and quarter Italian Stephanie. The pair met through production agency LDH, when they were given the roles of the two vocalists in a dance performance group called Real Force. When the plans for this unit fell through, the duo formed Love. Both members had been in the entertainment industry for over ten years. The group's first activity together was releasing a cover of Zone's "Secret Base (Kimi ga Kureta Mono)" as a ringtone (as well as releasing the full version in a special CD attached to the August issue of Gekkan Exile magazine). A year later, the group released their debut single, "First Love: Love Letter," with this cover as a B-side. The group's songs have been popular through digital markets, with all lead tracks from their singles reaching the top 5 on the RIAJ Digital Track Chart (including "Taisetsu na Kimochi" from their debut album Taisetsu na Kimochi which was not released as a physical single). The duo have had two collaborations with Exile twice: once before their debut on the song "Love, Dream & Happiness" on Exile's compilation album Exile Ballad Best in 2008, and in 2009 Misaki recorded background vocals for Exile's song "If (I Know)" on their album Aisubeki Mirai e.